Mark Greene, owner and host of the popular Cars Yeah podcast interviews with men and women he calls “Inspiring Automotive Enthusiasts (TM)” has now interviewed author and photographer William Edgar for a new 35-minute podcast posted online September 8, 2017. 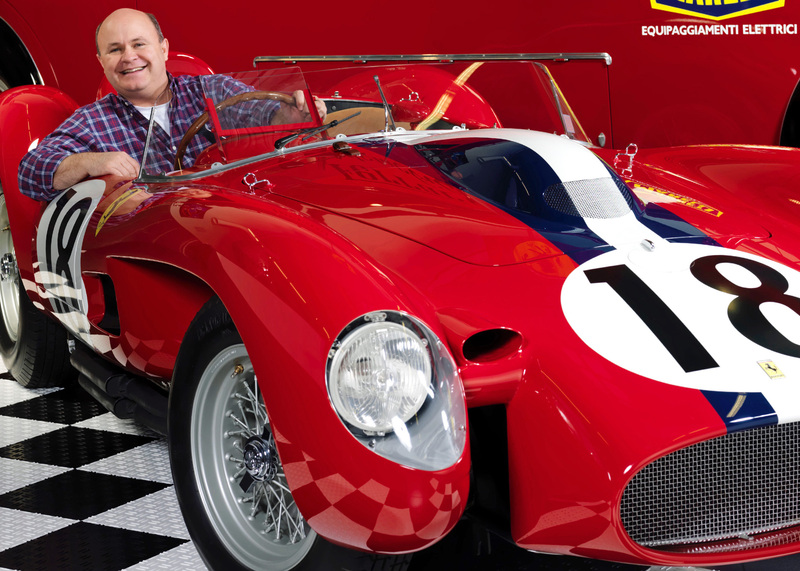 Mark, himself a photographer and motorsport historian, is seen seated in the very first Ferrari Testa Rossa prototype, at the time of this photograph owned by noted collector and vintage race driver Jon Shirley. 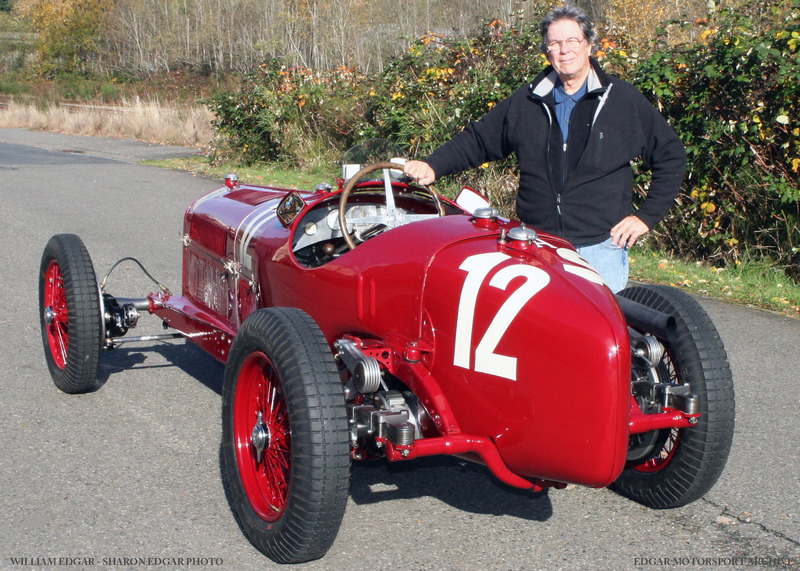 William is seen below standing with Jon Shirley’s Alfa Romeo Tipo P3, the Enzo Ferrari-entrant car that won the 1935 German Grand Prix with its upset victory over Germany’s Silver Arrows when driven by Italian marvel Tazio Nuvolari, about which William wrote a feature article for FORZA magazine as one of his hundreds of motorsport stories published during the past thirty years. To hear Mark Greene’s Cars Yeah interview with William Edgar CLICK HERE.